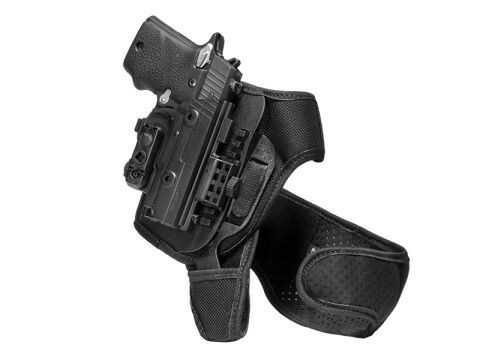 Bad impressions of ankle carry keeping you from strapping on an XD Mod 2 45 Subcompact ankle holster? With other holster designs, that would make sense. Here at Alien Gear, though, we look to take ideas that kind of work and make them work well. 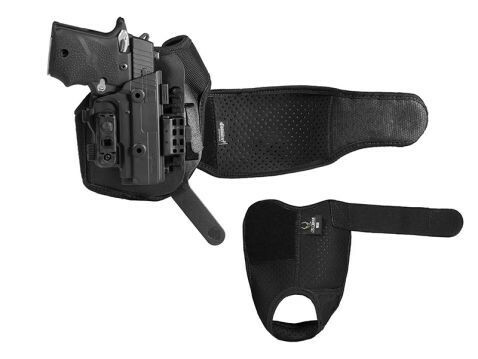 We have made a better breed of ankle holster for XD Mod 2 45 Subcompact pistols. Once you strap it on, you will tell that we've done things a little differently, and a whole lot better. Start with the strapping. 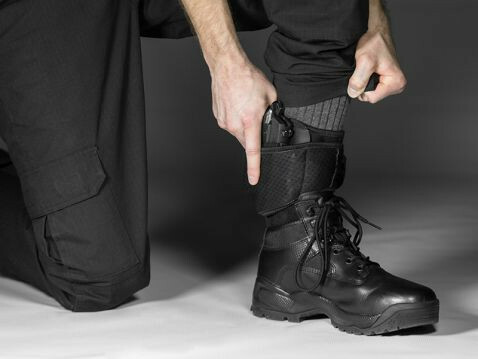 Our ankle holster has both vertical and horizontal support, as the ankle strap the holster attaches to docks with a heel strap via a durable polymer insert. 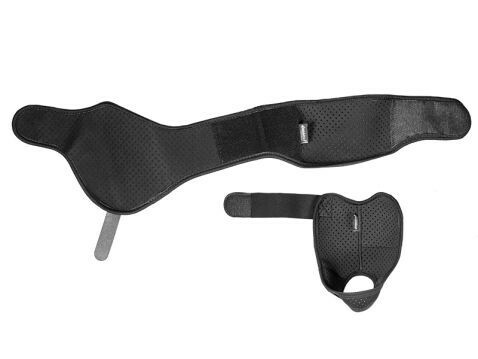 Once secured to the foreleg, you'll feel this holster hold strong with no travel when you move. 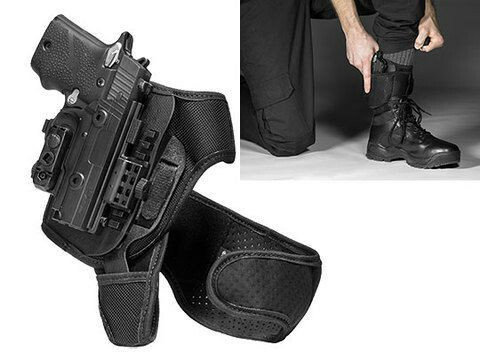 It stays put, unlike many other ankle holster designs. Comfort is a design priority for us, as an uncomfortable holster is one you won't carry with. The plush strapping is elasticized, so you can stretch it tight for a secure fit, but without chafing or worrying about losing circulation in your feet. 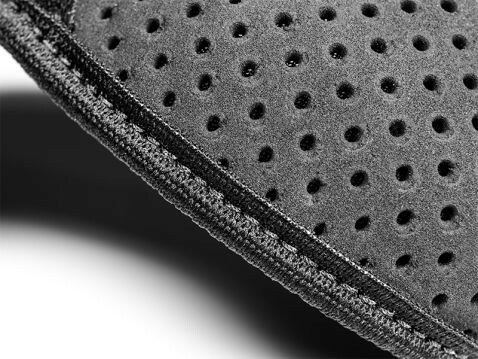 You'll feel the CoolVent perforated neoprene breathing against the skin and wicking away moisture, keeping you cooler and drier than many other holsters. 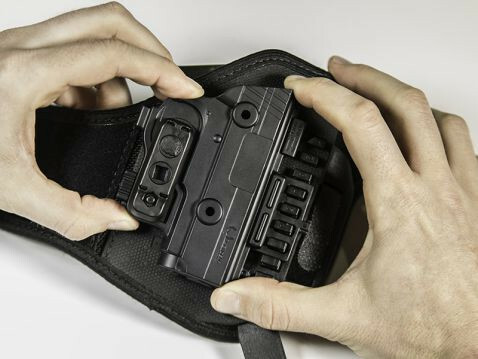 The holster shell of your XD Mod 2 45 Subcompact ankle holster is the ShapeShift shell, which is custom-molded for your make and model of firearm. The fit is perfect, right out of the packaging. The trigger guard is fully wrapped by the shell, further enhancing security. 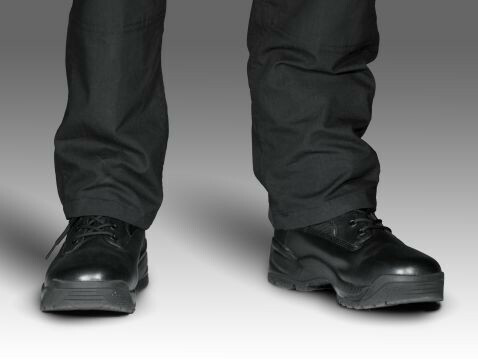 Ride height is adjustable, allowing you to carry with your holster in casual shoes or boots. You can also adjust the retention to your exact preferred setting. Dial in the hold you like on your Mod 2 45 ankle holster. You can also rest easy knowing that we back this holster with an Iron-Clad Guarantee. Our product guarantee includes a 30 Day Test Drive trial period after purchase and a lifetime warranty for the rest of this holster's life after that. Any issue gets fixed or you get a brand new holster. It will shift your thoughts on what ankle carry can be like. Get your Test Drive started today!